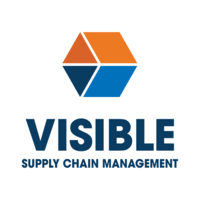 IntegraCore, now known as Visible Supply Chain Management, ships millions of packages every year. Their global customers include household names in direct sales, retail, and ecommerce, and those customers depend on Visible to deliver flawlessly, day after day. That’s why when it came time to upgrade their multi-carrier shipping platform to meet ever-evolving client requirements, Visible turned to Pitney Bowes and their partner ConnectShip. 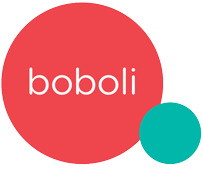 Star Textil, S.A., well-known for their flagship brand, boboli, controls 100% of their value chain - from design, to production, to logistics, to sales. As part of managing a continued positive growth pattern, they were looking for a way to automate the consolidation of data for transborder shipments, minimize processing errors, and reduce transportation costs. They considered developing their own compliance engine for their primary carrier, but preferred to achieve all of their goals without the high cost of in-house technology development. Outdoor Cap used multiple systems to rate-shop between small package and LTL carriers, making it difficult to determine the optimum shipping method at a glance. They were in need of a tool that would integrate with their ERP system, Simparel, as well as their in-house API to allow rating within the order import system. Learn how ADSI helped Grove Medical use ConnectShip® multi-carrier shipping technology, integrated with Motorola finger scanners and Zebra printers, to address challenges and enhance customer experience. Legendary Whitetails had completely outgrown its systems and wanted a more flexible multi-carrier shipping system that would enable them to better control freight costs. The company selected ADSI’s Pick-IT and Ship-IT software and ConnectShip multi-carrier shipping technology to be integrated with the company’s new MICROS-Retail order management system. Case Parts Company – a commercial refrigeration parts distributor and light manufacturer – recognized the power of ConnectShip technology and appreciated the flexibility of the software for integration with their own custom-developed enterprise resource planning system. Arbonne International needed a shipping system that would integrate easily with their enterprise system and provide them the ability to centrally manage their shipping process at multiple locations. Queen City Software met this need by integrating ConnectShip™ Toolkit. TECSYS turned to ConnectShip in order to provide their customers with a TMS that included the most accurate rates and carrier information. Through partnering with ConnectShip, they have reduced development costs, added international compliance, gained exposure to new markets, and reduced reliance on additional support resources. Kuehne + Nagel saves $500,000 by centralizing the shipping solution used at 20+ facilities. ADSI delivered a state-of-the-art ASN system, steamlined the shipping process with ConnectShip software, and saved Kuehne + Nagel even more on hardware solutions. A wireless infrastructure and a shipping software solution help to make American Hotel Register Company’s product distribution to hotel chains much more hospitable.